A measure extending the life of the claims board tasked to receive and process the claims of human rights victims under Martial Law inched closer to becoming a law after it was approved by both the Senate and House of Representatives on third and final reading Monday. Under the proposal, the Human Rights Victims’ Claims Board will be extended from May 12, 2016 to May 12, 2018. Voting 127-7, the House passed House Bill 6412 which seeks to provide human rights victims during the Martial Law period full access for reparation in recognition of the sufferings and sacrifices they endured. 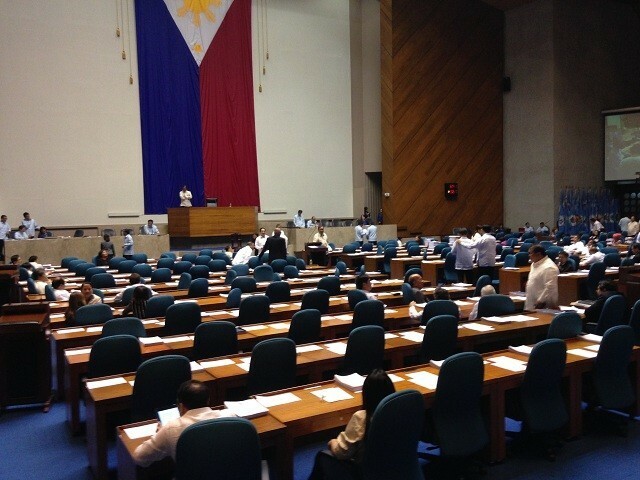 The Senate approved its version of the bill earlier in the day with 14 affirmative votes, zero negative vote and Senate Minority Leader Juan Ponce Enrile abstaining. While acknowledging the human rights victims’ entitlement to reparation, Bayan Muna party-list Rep. Neri Colmenares said the life of the claims board should not be extended for another two years because its members are supposedly “insensitive” to the injured parties’ plight. He said that the original version of the bill only indicated a one-year extension of the claims board’s work. “Ngayon ang nakalagay na bill ine-extend by another two years [ang buhay ng claims board]. Hindi na yan maatim ng human rights victims…. I’m against this bill because they don’t care, they’re insensitive to the needs of the victims,” Colmenares said. Hours ahead of the plenary session, the rights group Selda held a picket outside the House to protest the proposed extension of the HRVCB’s life. In a statement, Selda vice chairperson Bonifacio Ilagan said prolonging the claims board’s lifespan is just the Aquino administration’s way of securing the tenure of the Malacañang-appointed officials. Such a move, he said, will also eat up the funds allocated for the victims of Martial Law. “Extending their term, without any guarantee that they will accomplish their task, is like prolonging our agony, many of whom might not receive the reparation and justice they have been fighting all their lives,” he said.